Potatoes to vodka, barley to beer—evolution is a beautiful thing. So when you're passing through the Eastside and pondering the journey from grape to wine, you now can pay your respects at a plumbing store-turned-wine bar. City Sip is now soft-open in Echo Park. 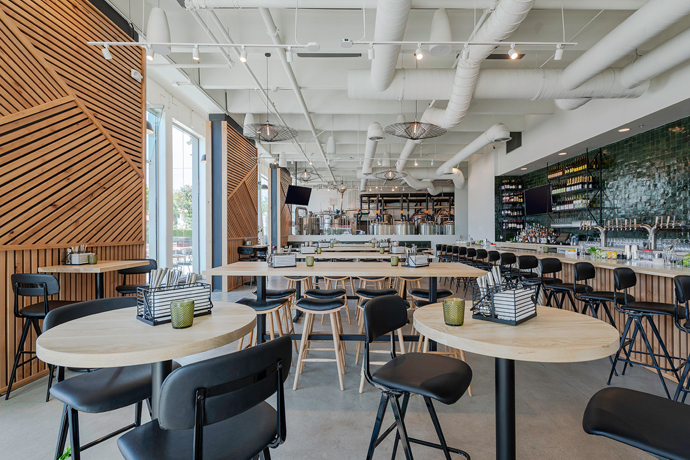 City Sip is a leisurely, no-frills kind of neighborhood place, with a few scattered tables up front (better for a date, a bottle and some manchego), a more social bar behind that, and a table for a larger group in the back. You've got the CSI franchise to thank for your Argentinian red—the owner was an associate producer for years...until they drove her to the bottle. You'll find an eclectic batch of reasonably priced boutique wines, with an emphasis on backstory. (We haven't found any from murderous winemakers busted via traces of DNA in the cork, but we'll stay diligent in our research.) If you like what you try at the bar—or at one of her classes in the back room—odds are she has a bottle for you to take home. And if you notice someone's name engraved on the stool holding you up, well, it's not reserved—that's just one of the owner's friends who paid for the honor to help fund the store. Proof that wine really does bring people together.